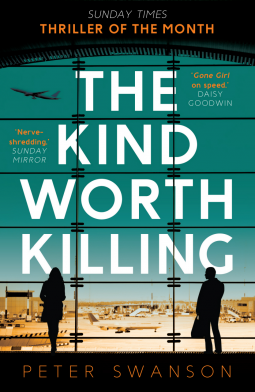 Two strangers meet in an airport and plan a crossed murder, does this story sound familiar? Yes, the start is the same of the famous Strangers on a Train from Patricia Highsmith, but with a few surprises and more darker! Will they succeed on their crimes or the police will discover the "secret" plan? "I always say that two martinis are too many, and three is not enough"
In the beginning, I was a little disappointed there where so many similarities from Strangers on a Train... but then page by page the book made a few twists that it was darker and more complex that the similarities seem just a coincidence! Peter Swanson has created some dark characters that they seem onions, every peel they remove is a gripping secret! But at the end you understand their motives, so don't want them to be caught... Yes, they have committed murder, but is more a selfdefense action than a real murder. The line between innocence and guilty... so difficult to decide! Ready to plan a murder?